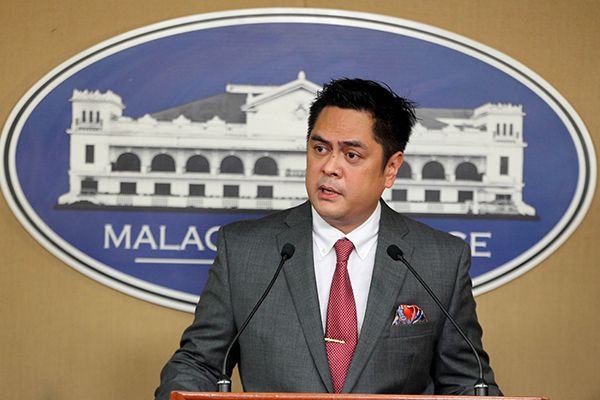 MANILA – Presidential Communications Secretary Martin Andanar on Tuesday said the case of the so-called “Pieta” drug suspect, Michael Siaron, exposed the massive misinformation campaign being waged by critics of President Rodrigo Duterte and his war on drugs. "We've been battling a misinformation campaign, both here and abroad, which claimed that thousands of extra-judicial killings were being perpetrated by the administration,” he said in a statement. “President Duterte's war on drugs has been maligned from day one by those who, in one way or the other, profit from the trade of illegal drugs. In the case of Siaron, it appears that drug traders killed one another and conveniently pinned the blame on the President’s war on illegal drugs,” Andanar said. Siaron, a 30-year old pedicab driver, was gunned down in Pasay City in July 23 last year by motorcycle-riding men. Newspaper photos showing Siaron’s partner cradling his body at the crime scene drew widespread attention because of its similarity to Michelangelo's "Pieta" which depicts Mary holding the lifeless body of Jesus. Last week, the PNP declared the case closed after it identified Siaron’s suspected killer as Nesty Santiago, an alleged member of a syndicate involved in robberies, car thefts, hired killings and illegal drugs, from whom a gun was recovered. Ballistic tests on Santiago’s gun matched with the bullet recovered at the scene of Siaron’s killing, as well as the results of five other cases, all involving drugs. With the resolution of the case, the Palace official said the administration hoped that the public would now be more discerning with the information being fed to them by Duterte critics.